Pioneers in the industry, we offer heavy fire blanket - siganature by dsz and vermiculite glass fiber fire blanket - signature by dsz from India. Welding blanket is made of 100% fire resistant fiberglass, which is specially treated to be compact, soft and ductile. It has the advantages of fire retardant, high-temperature resistant, in-combustibility, anti-corrosion, insect resistance, reusable, that can directly reduce spark spreading and separate the flammable and explosive hazardous articles to ensure the securities of life and property. Packaging Details: Every Piece Non-Oven Bag Packing. 10 Pieces Per Bundle. Every Bag Best Quality Packing. Look of the Fire Blanket is Unique. 100% Dust Free Bag. As Per Your Requirements. Per Bag Fire Blanket is 100% Non-Asbestos. Each bag will be with our company Trade. Size of Fire Blanket as per Your Requirements. 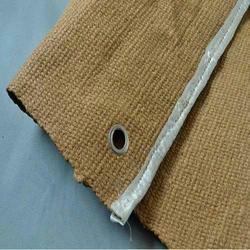 We are offering to our esteemed clients a qualitative array of Vermiculite Glass Fiber Fire Blanket. Keeping in mind the latest market trend, we are manufacturing these blankets with the help of our skilled professionals by using fine grade raw material which is sourced from reliable vendors. They are using latest techniques to deliver a flawless range. Our fire blankets are made for safety purpose and can be used in various industries. Packaging Details: 50 or 100 Meter Per Roll. 100% Dust Free Packing. As Per Your Requirements. Every Bag wills Be At Best Quality Packing. Per Roll will be Pack in a Plastic Packaging. 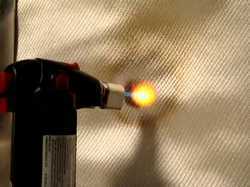 The fire blanket for welding is made fiberglass fabric, coated fiberglass fabric or silica fabric and finished with making by edge wrapping, metal buckles and finished with plastic bags and labels. 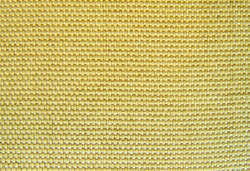 To meet the heat resistance requirement, choosing the suitable fabric is most important. Packaging Details: Every Piece Non-Oven Bag Packing. 10 Pieces Per Bundle. Best Quality Packing In Every Bag. 100% Dust Free Bag. Per Bag Fire Blanket is 100% Non-Asbestos. Each bag will be with our company Trade. Size of Fire Blanket as per Your Requirements.